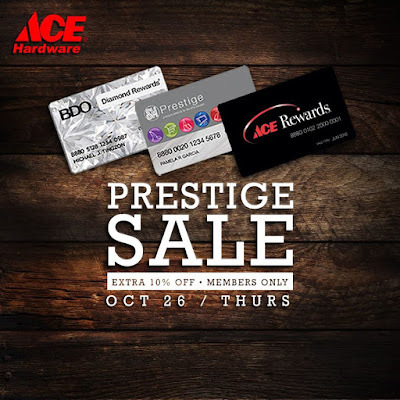 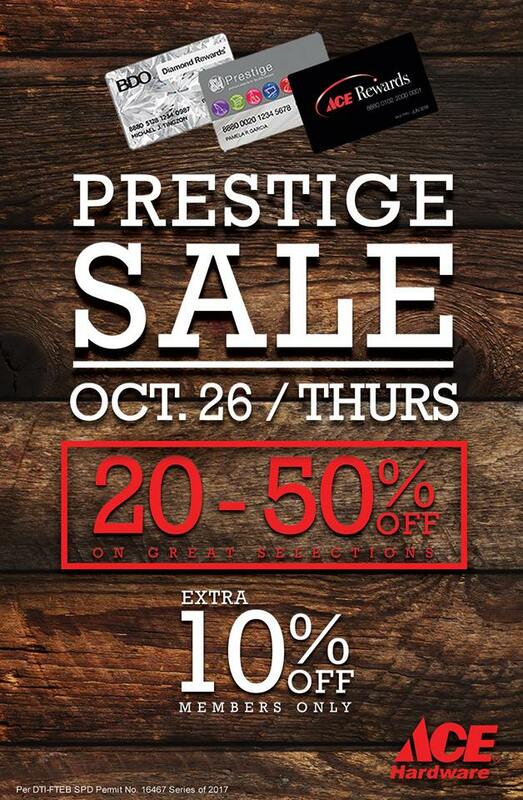 Check out The SM Prestige Sale at Ace Hardware on October 26, 2017. Get 20 to 50% off on great selections. Plus...get extra 10% off when using your SM Prestige, ACE Rewards & BDO Diamond Rewards cards.